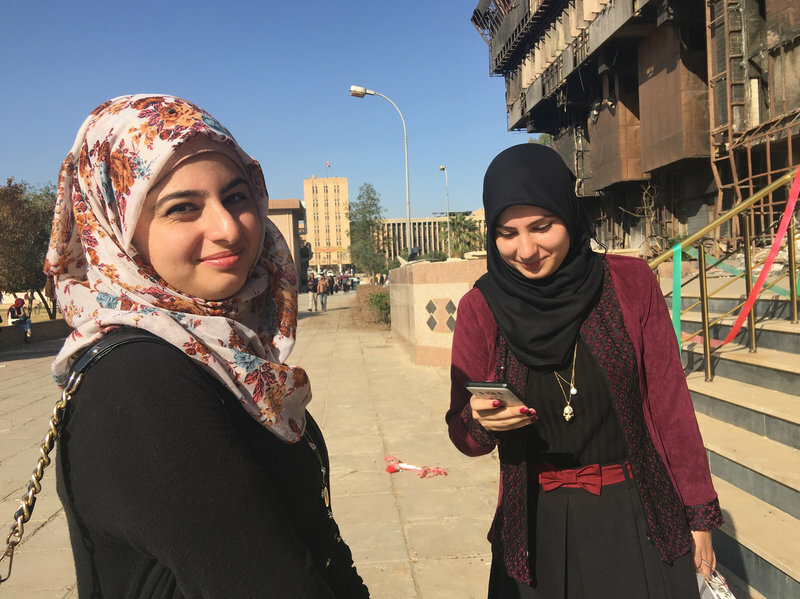 Sisters Raffal, left, and Farah Khaled are first-year students at Mosul University in Iraq. They’re standing outside the university library, which was burned down, along with most of its books, by ISIS when it controlled the city. But they didn’t destroy Khaled, who is irrepressible. She and her sister, Raffal Khaled, 19, are both in their freshman year at Mosul University. Like many of the students, Farah is three years behind schedule. The sisters were lucky in many ways — children of middle-class parents who lost neither their home nor family members during the reign of ISIS and the brutal fighting that liberated the city last year. But in many ways their lives just stopped when ISIS took control and declared the northern Iraqi city the capital of its “caliphate” in 2014.